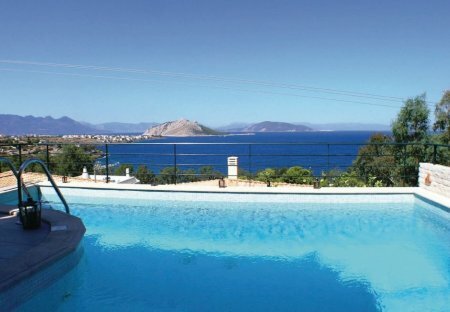 Rent villas and apartments in Aegina, Greece with private pools. Book affordable holiday rentals that are near a beach. This two floor holiday house is situated on Aegina island, in the Argo Saronic gulf. This beautiful holiday apartment is located in the magical island of Aigina, (40 minutes from Athens main port by Flying Dolphin), only 200 m from the crystal blue water of the Saronic Gulf. This holiday apartment is in the magical island of Aigina, (40 minutes from Athens main port by Flying Dolphin), only 200 m from the crystal blue water of the Saronic Gulf. The Villa is a quiet, cozy, spacious (140 m2) and relaxing house 5 minute drive from port of Aegina. Ideal for vacation during summer/winter, weekly escapes, and for weekends. Near PLANACO.